I rarely travel by air during summer because there are a lot of attractions nearby our place that's also worth-visiting. I don't want the feeling of "jet lags" and I hate packing up too many luggage for an out-of-town trips. 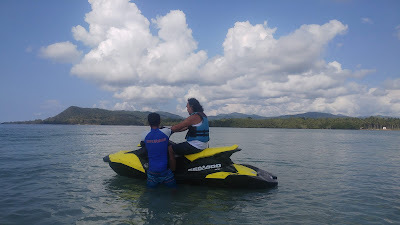 But when Bette Medina, one of our blogger friends from United Bloggers PH group; invited us for a waterpark experience in Puerto Princesa City Palawan, I suddenly changed my mind. I know how beautiful Palawan is, I know how great its nature is and actually, it's on my bucketlist. So we left Cabuyao, Laguna very early in the morning of May 27, 2018 for our 9am flight to Puerto Princesa City. 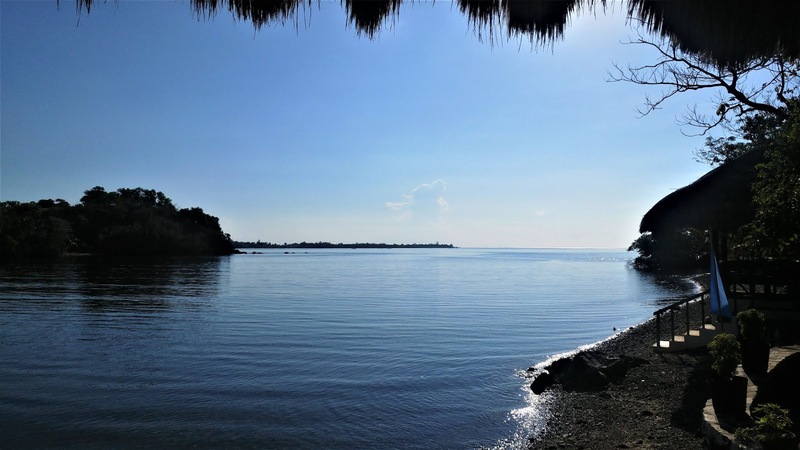 We were 13 bloggers on the team heading to Kamia Bay, the home of Aqua Play Park. We arrived past 10am in Puerto Princesa, and we were welcomed by this energetic man, Peter Appleton, the CEO of the waterpark. We immediately booked our accommodation for 3 days and 2 nights, had a quick rest then head on to Robinsons Puerto Princesa for our lunch. After the sumptuous meal in Max's, we were fetched by the Kamia Bay's staff and we traveled to the resort in a van. Kamia Bay Resort is almost 45 minutes away from the city so we were able to get a quick nap. At almost 2pm we arrived at the resort. The friendly staff welcomed us with shell necklaces and refreshing drinks, with matching delicious "turon," for snacks. I was really captured by the beauty of the place. I have been to Boracay, to La Union, Pangasinan, and Batangas and even to some beaches in Quezon province, but this one is really different. The view of nature itself is so amazing that you can actually feel God's overflowing gift to mankind. The awe-inspiring nature is matched with the gigantic inflatables, that nobody can resist. So, right after the briefing conducted by the resort staff Saldi, I immediately change the proper outfit so I can start playing on the floating playground. Yes, it felt like I was just a kid jumping, rolling, tumbling, sliding down the inflatables. The Aqua Play Park is like a huge playground where the activities are endless and the fun just won't stop. The giant Slidezillas which are 36 and 40 feet tall are so tempting to try and of course, I never wasted any of my chance to leap from one obstacle to another and slide to water as much as I want. On the next day, we went on an Eco-tour around Binunsalian Bay. 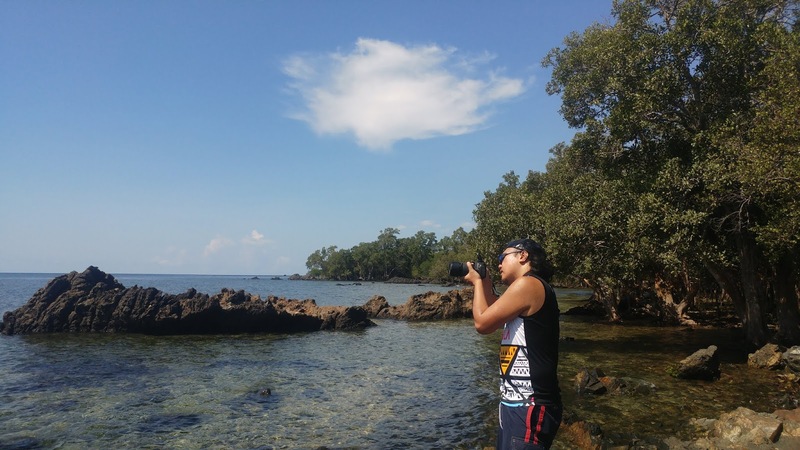 The place is surrounded by huge rock formations that are perfect subject for photographers. There are also forests of mangroves that look like hiding a mystery. The resort also has a trail for amateur or expert bikers. 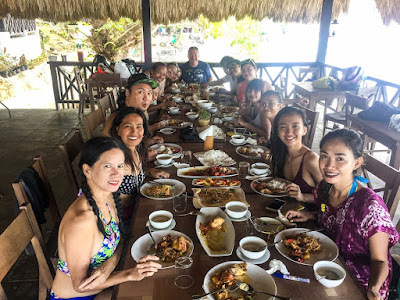 After getting tired of climbing the mountains and the rock up and down and after wandering all around the place, we had a hearty lunch with the whole team together with Peter Appleton and model-actress-host Wilma Doesnt who joined as our host for the event. The food that the resort has prepared was as great as the wonderful view of the place. Before the day breaks, we rode the jetski towards the snorkeling area and we saw few beautiful marine species and large corals. 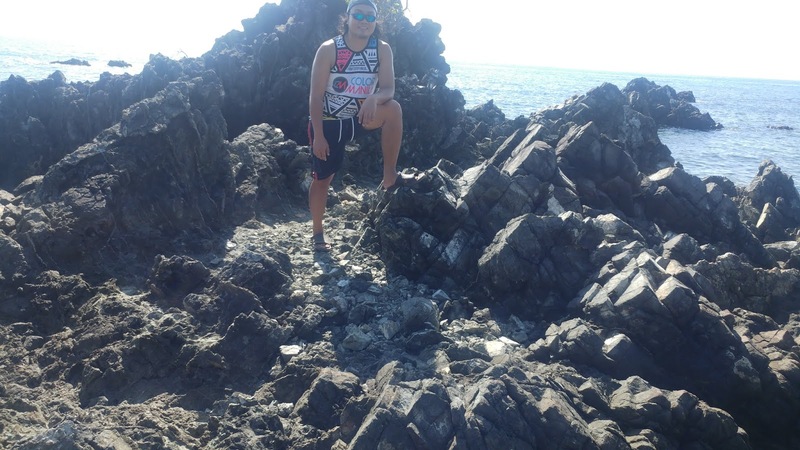 Before heading back to Manila, we had a quick island hopping at the place called Puting Buhangin. Really the sands are fine and white - whiter than the sands of Boracay. We enjoyed jetskiing once more and even had the chance to have some fun moments riding the motor boat going to and from the island which is just 10 minutes away from the Kamia Bay shores. The overall experience was unforgettable. I realized that life is really about adventures, you have to dare try anything and everything even if it looks fearsome. So if you want some adrenaline rush, if your feeling sporty, if you need to release some of your energy, Aqua Play Parks in Kamia Bay Resort is the place to be. You want to experience the fun, excitement, and thrill of the water without the worry of drowning? You want a summer experience that's for sure will never be boring? 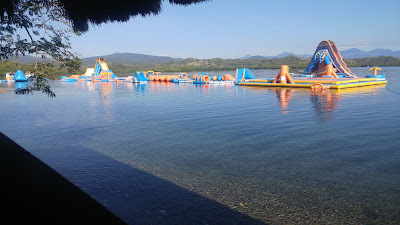 Also visit, http://aquaplayparks.com/index.html for more information.